As a stevedoring company, our core business is the loading and discharging of ocean vessels. AET specializes in RoRo and LoLo handling for different types of cargo, such as high and heavy RoRo-units, cars, project cargo, breakbulk and containers, which makes us to largest multipurpose terminal in Europe. Thanks to AET’s ideal location, all cargo can be received or delivered by truck, rail, barge or coaster. 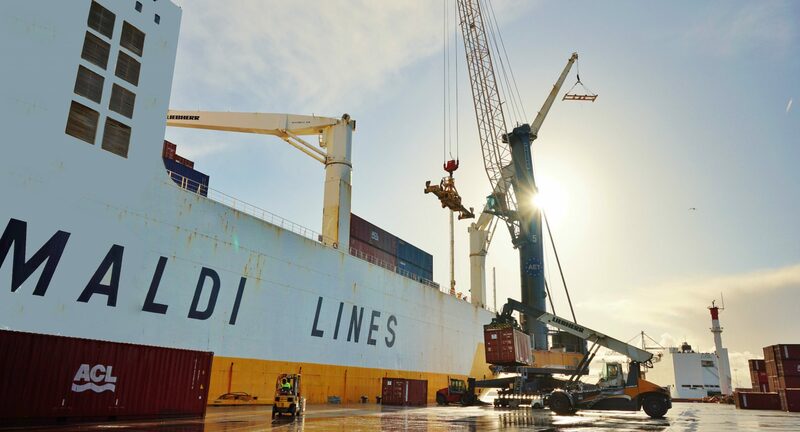 In recent years AET has invested in two Liebherr Gantry cranes, each with a capacity of 65 tonnes, and two Liebherr mobile cranes, with a lifting capacity of 104 and 144 tonnes respectively. Combined they can lift cargo weighing up to 208 tonnes! AET can offer services relating to both deep sea and short sea liner trades connecting Antwerp to various locations worldwide. The short sea service transports different types of cargo to or from the Mediterranean area. The deep sea service’s core business is focused on the Atlantic trade, with links to West Africa, South America, North America and Canada. 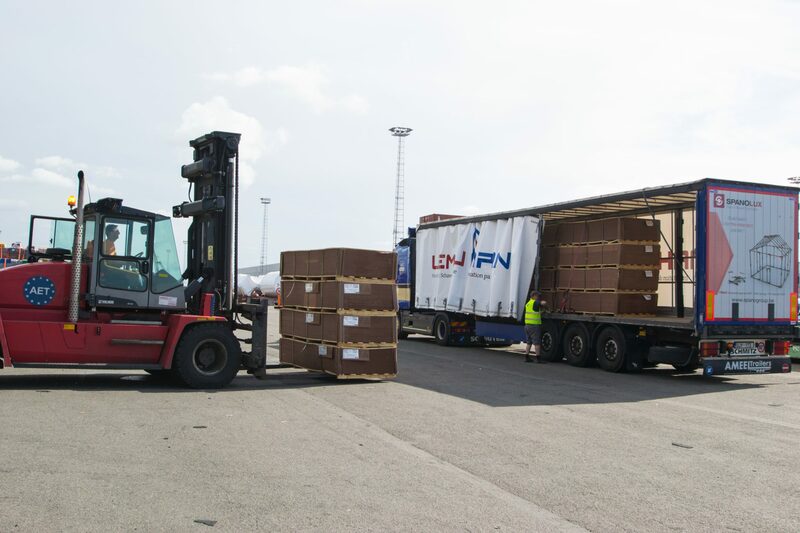 The short sea service transports different types of cargo to or from the Mediterranean area. Whereas the deep sea service’s core business is focused on the Atlantic trade; with sailings to and from West Africa, South America, North America and Canada. AET’s Cargo Freight Station is home to a 160-acre warehouse where we handle all types of cargo, including heavy lifts, paper reels, wood, iron and steel, and other types of general cargo and breakbulk. Our large capacity means we can meet the many different customer requirements. Thanks to our experience and expertise in this area we can offer a premium quality and service to our customers. For further information on pricing or any other request, click here to contact our sales department. Cargo + 40 tonnes needs to be announced 48hrs in advance and be accompanied with technical drawing and lifting instructions. AET is the largest multipurpose terminal in the port of Antwerp, and our ideal location offers unrivalled connections to the main road, water and railway networks in Europe. As a result we can accept deliveries, and aid with onward transport via truck, train, barge or coaster. We play a pivotal role in keeping Europe’s trade moving, benefiting our customers, partners, and the community. 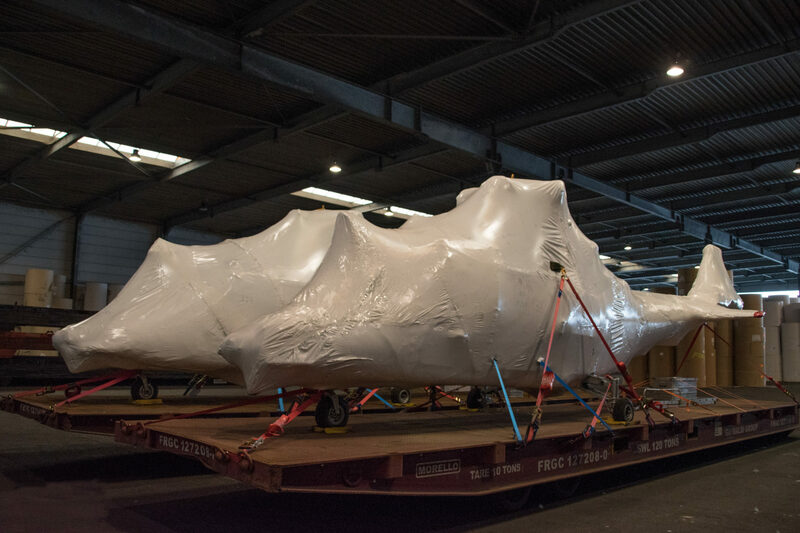 AET is able to process a wide variety of cargo types from containers and RoRo units to heavy lifts, breakbulk and project cargo. No challenge is too much for us. Thanks to our investment in shore-based handling equipment, such as a large diversity of forklifts and reach stackers, we are able to increase efficiency in our daily operations and offer a better quality of service to our customers. Whatever option you choose, at AET our well-trained personnel will handle your cargo with care at all times. AET’s connection to the rail network allows customers to deliver their cargo by train as well. With a track length of 4800 meters we are well equipped to handle all cargo that comes our way. Besides the possibilities to deliver by truck and train, we also handle the loading and discharging by barge or coaster. 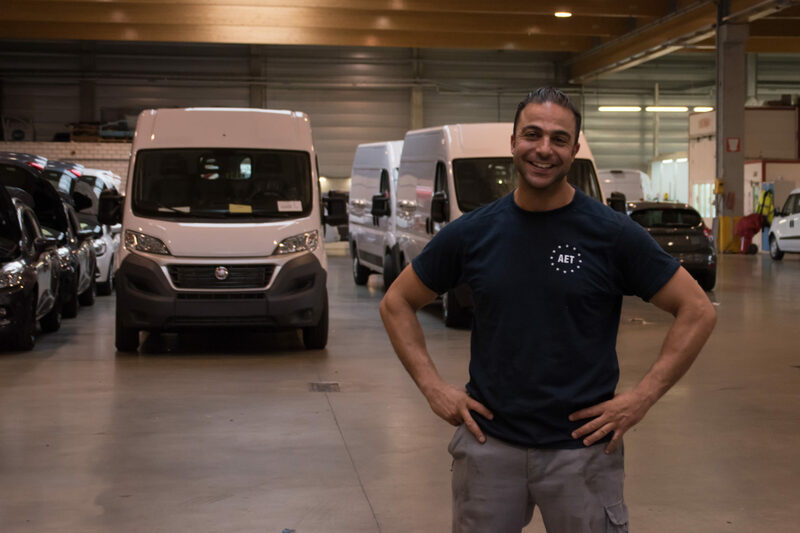 As well as being home to the majority of the vessels from the Grimaldi Group, AET is also the main distribution centre for car brands such as Fiat, Ford and Renault. This makes AET a crucial link between the Grimaldi Group and its major customers. At AET, new cars can get the necessary care and treatment through our Vehicle Processing Center (VPC). On the customer’s demand, vehicles can be inspected, customized, modified, labeled, etc before their final transport. When vehicles are ready for transport to the end customer, AET sorts the vehicles per lot to ensure a smooth processing and pick-up. Our excellent transport network allows for easy and swift delivery to any final destination. In addition to the import of new cars, there are also a lot of used cars that are being exported through AET. This is mainly for the second hand market to West Africa. 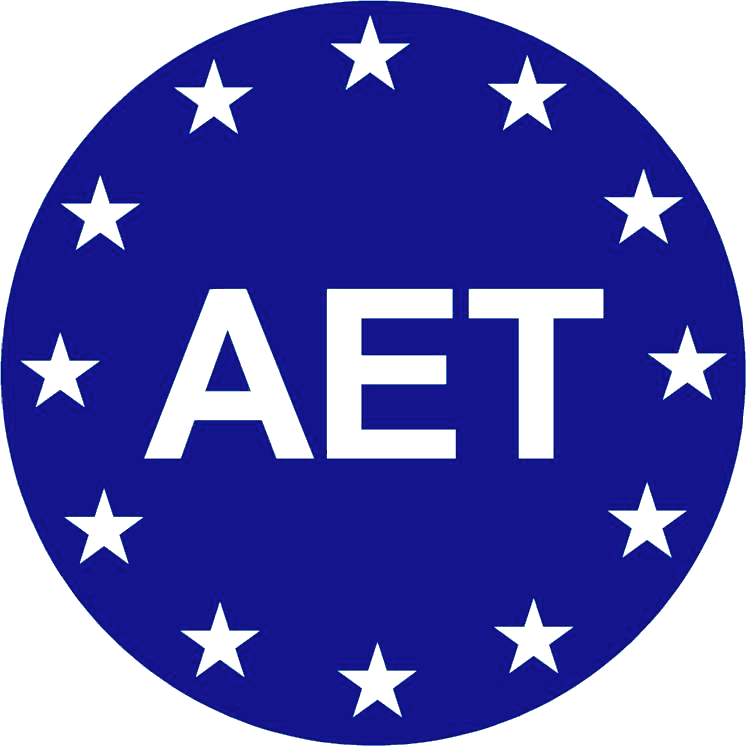 If you need any additional information about the operations of our car terminal, please contact us by sending an email to or carterminal department: Carterminal.wafsam@aet.be or Carterminal.euromed@aet.be (depending on the final destination of your vehicle). 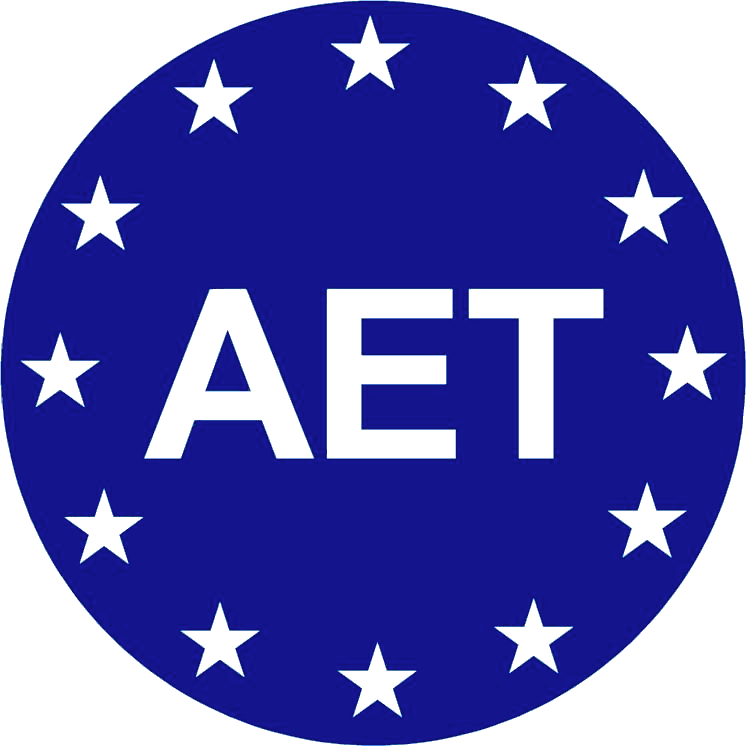 For price quotations, click here to contact our sales department or send an email to sales@aet.be. Our Vehicle Processing Center (VPC) can provide a full and specialized service for any vehicle. With an operating area of 8000 m², our VPC is equipped with the latest technologies and materials for vehicle processing. Our highly trained staff can assist with any repair, treatment or assembly your vehicle may require. Our repair service is specialized in repairing all kinds of damages to your vehicle. Our expert staff can assist with spot and smart repairs, PDR, polishing, bodywork, and any other type of repair. New cars can be fully prepared for delivery to the end-customer. Cars can be washed, dried, labeled, etc. based on the customers’ needs. In addition, we can offer assistance with pre-shipment inspection in case this is required. Our highly trained mechanics know their way around any car. From assemblies, to the installation of accessories, mechanical repairs, placing of leather interiors, etc. our staff will rise to any challenge you present them.